Washington D.C., Yesterday, March 7, besieged East Ghouta was subjected to a systematic and unprecedented aerial bombardment campaign using all kinds of internationally prohibited weapons such as napalm, white phosphorus, cluster bombs, and chlorine gas. Our staff the ground reported 93 casualties, many of which were children. Despite repeated international calls to stop these heinous attacks on East Ghouta and the UN Security Council’s resolution demanding a 30-day cessation-of hostilities, the humanitarian situation continues to deteriorate on a daily basis. 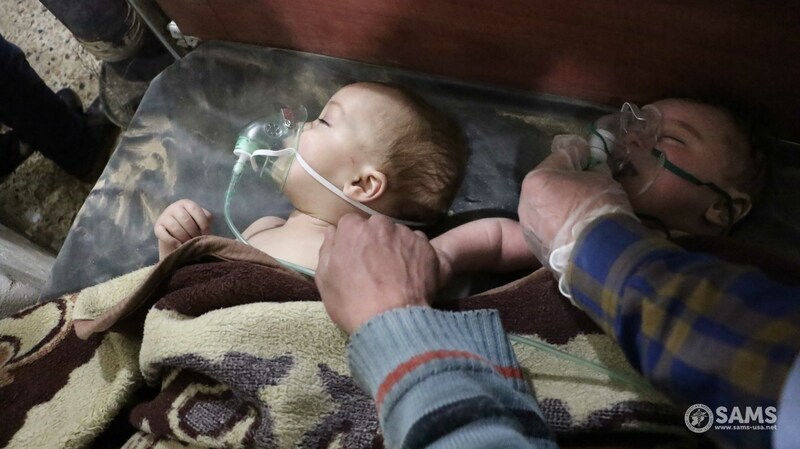 Yesterday’s attack was the fifth recorded chemical weapons attack on Ghouta in 2018 and the eighth in Syria during that same time. It also marks the 198th use of chemical weapons in Syria since 2012. One of SAMS facilities in East Ghouta reported treating at least 29 patients, 15 of which were children, with symptoms indicative of exposure to chlorine gas, such as severe dyspnoea, sweating, congestion of mucus membranes, severe runny nose, wheezing, and conjunctival erythema. Many of our patients remain hospitalized due to the severity of the exposure. Selfless efforts were carried out by the medical staff in spite of being affected by the smell of the chlorine on their patients’ bodies, inhibiting their ability to breathe and to cope with the overflowing number of victims. “The situation is nothing short of a genocide. We’re unable to evacuate all of the victims. 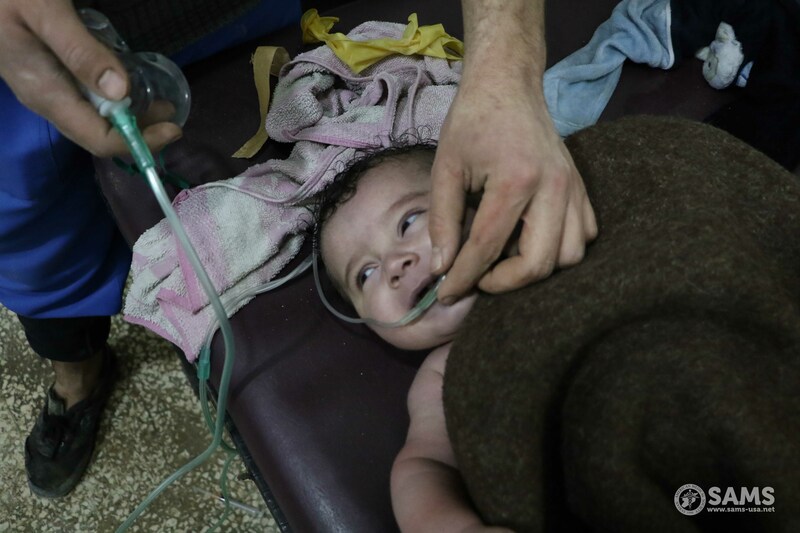 They’re using all types of internationally prohibited weapons; chlorine gas, napalm, phosphorus… We call on the free world to help save the people dying on the streets,” said a SAMS doctor in East Ghouta. SAMS strongly condemns the ongoing and systematic aerial attacks and the usage of internationally prohibited chemical weapons on civilian infrastructure in East Ghouta and calls for the full implementation and enforcement of UN Security Council Resolution 2401 to allow the delivery of essential humanitarian aid, and to allow for urgent medical evacuations. Additionally, SAMS calls on the immediate entry of the Organisation for the Prohibition of Chemical Weapons (OPCW) investigators in order to conduct a full, transparent investigation into the use of chlorine against civilian populations in East Ghouta and hold perpetrators accountable.